AMWA Collaborator, Arlene Blum, was inducted into the California Hall of Fame on November 27, 2018, by the Office of Governor Edmund G. Brown, Jr. and First Lady Anne Brown in partnership with the California Museum. Doctor Blum — “mountaineer and scientist” — was recognized for her work with the Green Science Policy Institute of toxics for a healthier world. 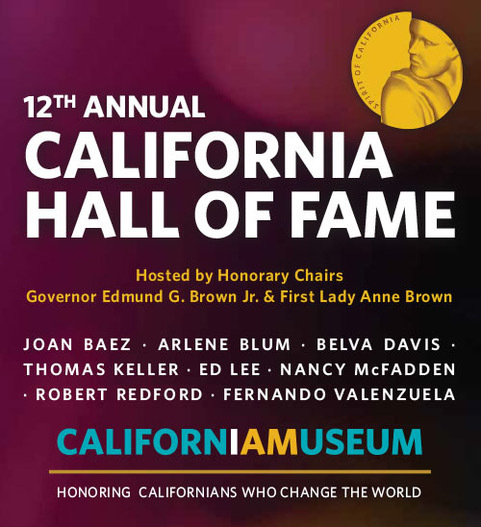 The 12th Hall of Fame Class of Californians will be celebrated in an induction ceremony on December 4, 2018 and with a new exhibit at the California Museum opening December 5, 2018.